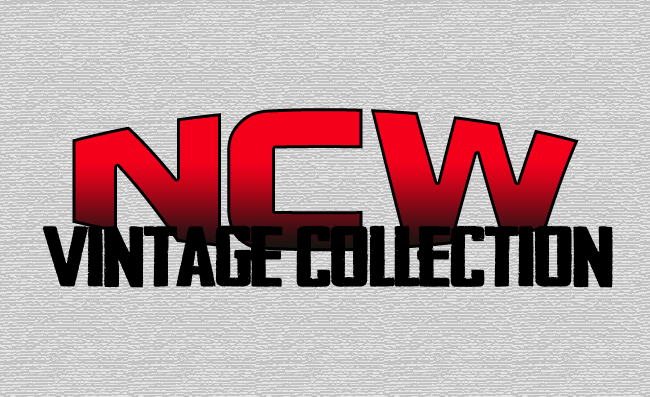 Northeast Championship Wrestling has had a lot of talent come through its doors over the last 18 years, and the NCW Vintage Collection is now the best place to see classic matches from NCW’s rich history. On Friday March 27th, 2009 the NCW Tag Team Champions the Airdevils (Anthony Stone & Brandon Webb) along with Lindzi Devine defended the NCW Tag Team Titles against the formidable team of “Revolution” Chris Venom and Mike Bennett, collectively known as the Heatseekers. This Championship match would become historic to NCW, as the middle rope snapped in half during the heated encounter. At NCW’s 5 year REUNION event the reigning NCW New England Champion Johnny Curtis (and current WWE superstar Fandango) defended his NE title against “Extreme” Adam Hastey in Bristol, Rhode Island. In this NCW Vintage Collection special we go back to May 27th, 2001 where the two-time NCW New England Champion Tim Kilgore (w/ “The Mouthpiece of the East” Sean Gorman) defended his Championship against his longtime rival KL Murphy in a Last Man Standing Match at our WrestleFest II event! In this Vintage Collection exclusive we go back to February 2005 at NCW’s 2005 REUNION where “Dynamite” Doug Summers made his NCW debut against “Hot Stuff” Paul Hudson in West Warwick, Rhode Island!